I was thrilled to find these travel size cleanser set from Caudalie at Sephora recently. Both are the exact type of cleansers that work in my skin care routine—one being a milk cleanser while the other a foam cleanser. I thought they would serve me well in my travels and indeed they were handy. I have to state that I didn’t like them much when I first laid hands on them but they gradually grew on me after a few washes. Although I’ve come across Caudalie and tried a few squirts of their much-raved beauty elixir, these two cleansers count as my entry products into the French brand. For those learning about the brand for the first time, Caudalie is a French skin care company that was launched in 1995 by a husband and wife team: Bertrand and Mathilde Thomas. The focus of the brand is anti-aging skin care products using grape related active ingredients such as Polyphenols, Resveratrol, Viniferine, Resveratrol-Oleyl that are derived from grape seeds, stalks and grape sap. 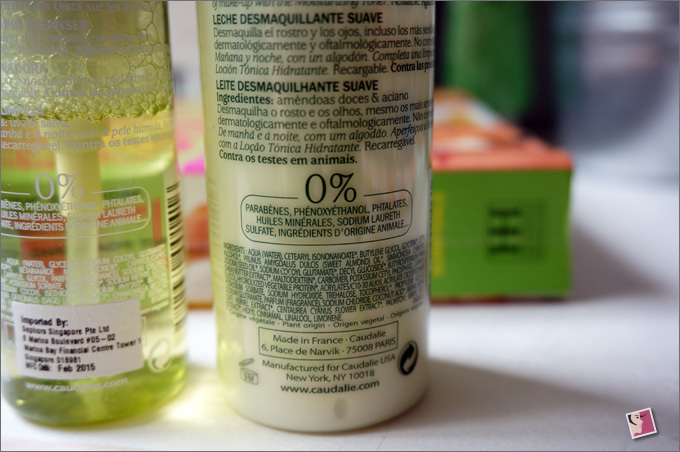 All formulations are created without parabens, phenoxyethanol, phthalates, mineral oils, and sodium laureth sulfate. I’ve always preferred using a cleansing milk or cream to remove makeup because I find it gentler on my skin as opposed to an oil cleanser. Also, I don’t use a lot of makeup so they work for me. 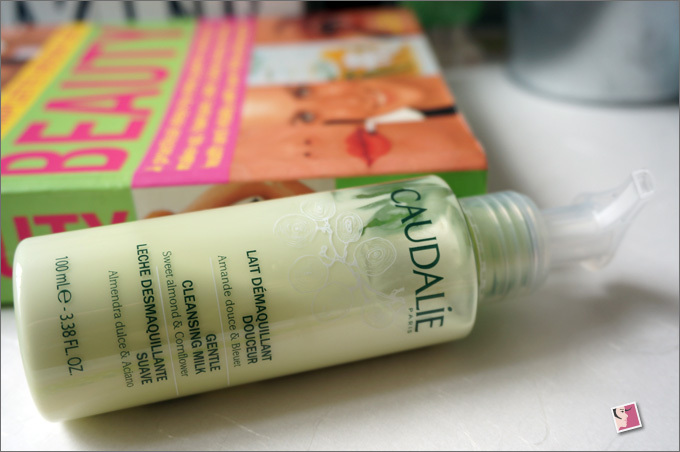 Caudalie Gentle Cleansing Milk is a light green color and feels slightly thicker than most cleansing milk I’ve come across. Most cleansing milk have lotion-like consistency so this one can be passed off as a cleansing cream. But whether it is a cleansing milk or cleansing cream, two squirts of this does a decent enough cleansing job for my face. The first two or three times I used it, I didn’t like how my skin felt afterwards because it left a slight “filmy” residue. 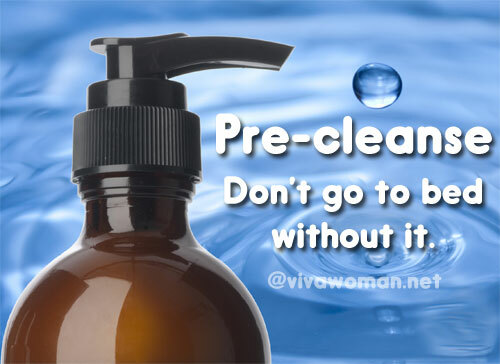 It’s not greasy or sticky but you’ll feel as if your skin isn’t well cleansed. I had to use it a couple more times to get used to the feel especially when I use it alone in the mornings and don’t follow on with the cleansing foam. In terms of scent, I’m a bit puzzled because Caudalie Gentle Cleansing Milk is supposedly a natural blend of sweet almond oil, grape seed oil, cornflower and oat extracts but strangely, the smell reminds me of some commercial soap. It’s probably due to the parfum in the formulation but the scent is certainly quite light and not off-putting. If you are not a milk or cream cleanser user (although I highly recommend one in you morning routine), it’s best you avoid this. If you do use a milk or cream cleanser in your skin care routine, you might want to give the travel size a try. It scores average on performance but rather high in terms of functionality. 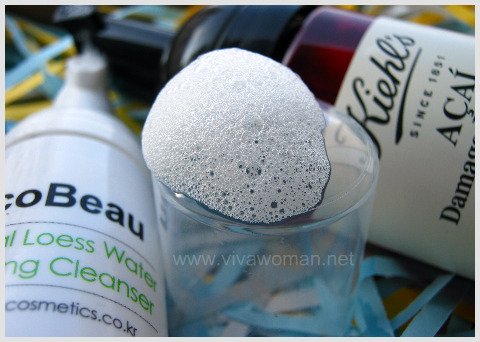 Of the two cleansers, this cleanser is more popular and well reviewed. I’m not surprised given its airy foam is a draw for most people including myself. Also, the clear packaging is a winner as you can see how much product you are left with. 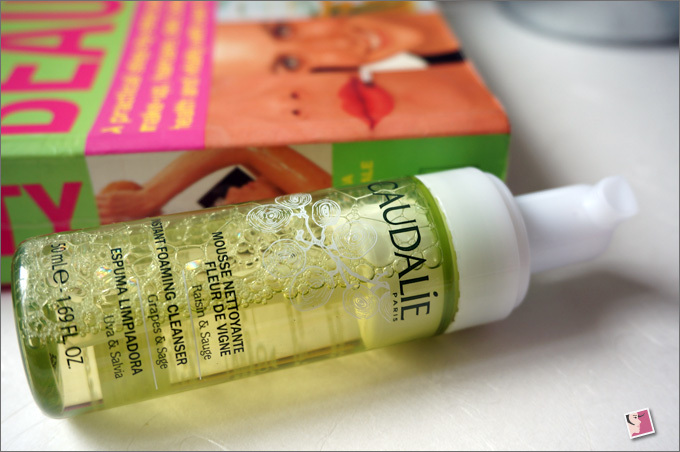 Caudalie Instant Foaming Cleanser contains a natural blend of grape extracts, sage, and chamomile but it smells of cucumber to my nose. I’m probably mistaken but this definitely smells better than the cleansing milk. I use two pumps of the cleanser after the milk cleanser in my double cleansing routine and find it lives up to its promises of removing impurities while gently soothing skin. 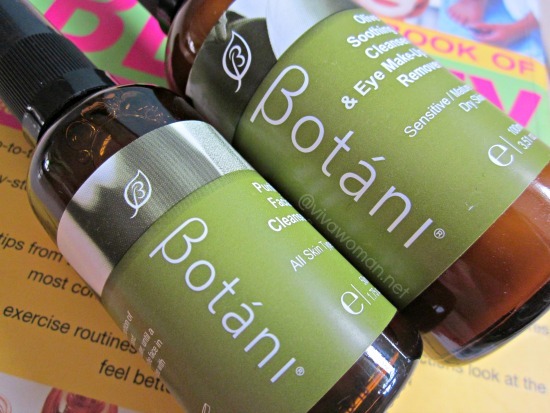 I’m surprised that this cleansers contain a number of surfactants given it’s supposed to be a gentle formulation. My only explanation is that the surfactants are added in smaller quantity since the formulation did not dry up my skin. This cleanser is said to work for all skin types but I can only vouch that it works for my combination skin. I’m not exactly sure if it works for sensitive skin given the number of surfactants used.Â If you have oily skin, this might work well if you use it as a double cleanser (either use it twice or with another cleanser) instead of a single wash. Although I quite like this cleanser, I have to say it is expensive. Noticed how much I’ve used in just a week? My guess is that the 50ml size is probably good for about three weeks if you’re using it once a day. 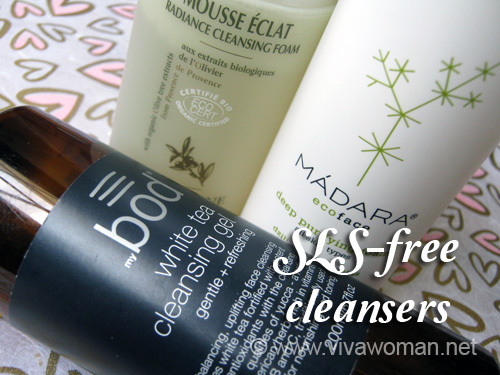 If you need cleansers on the go, you can consider these to suit your needs. They aren’t the best cleansers around but they’re pretty much functional and will keep your face clean. However, if you’re one for airy foam cleansers, you can consider purchasing the 150ml Caudalie Instant Foaming Cleanser in full size if you don’t mind paying the price of S$39. The price is mid range but it can get quite costly considering a bottle will be used up quite quickly. Sounds like great product! Should i give it a try! I’ve been using this stuff for a while and I love it! I never leave the house without it. I really like the thicker consistence of their “milk” (more like “cream” really) compared to the others I’ve tried.